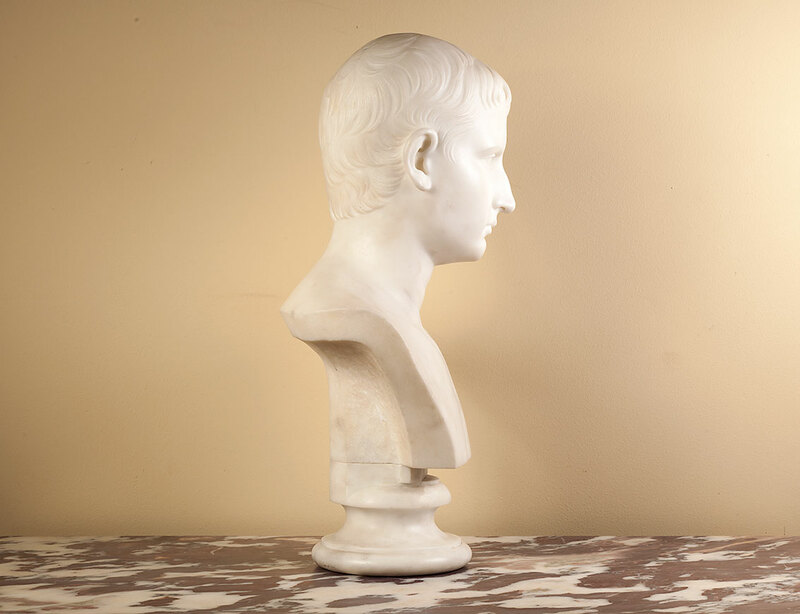 The bust is believed to represent the young Augustus (Octavian) before he became emperor in 27 B.C. The first century B.C. 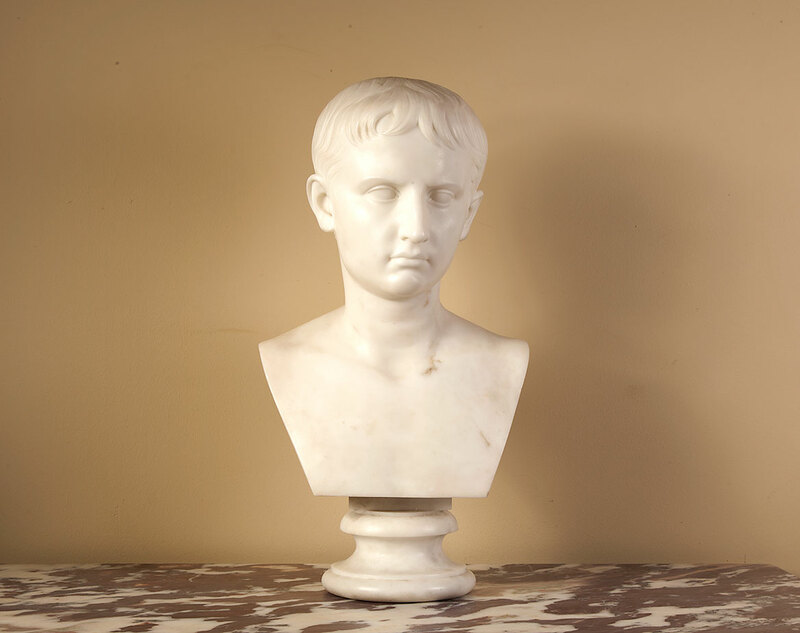 original sits in The Vatican Museum Rome and was copied and sold during the 19th century to collectors on the grand tour.